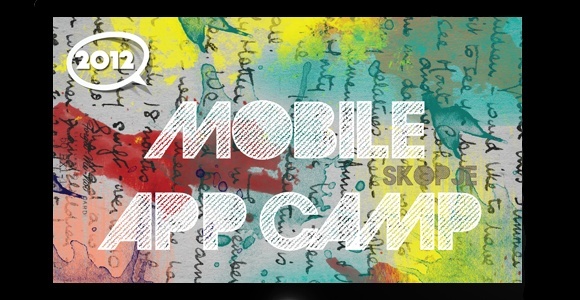 It seems as though we have too few good opportunities to feature events and news from Macedonia, so it’s nice to be able to report that Mobile AppCamp was held in Skopje, the capital, this past weekend. Organized by the Youth Entrepreneurial Service (YES) Foundation, Mobile AppCamp hosted 114 participants from a variety of countries from the former Yugoslav republics, as well as Bulgaria, Albania, Romania, and Ukraine which ended up forming 49 teams. The overall winner at the event was iDerma (a team from Croatia), a CRM project with ERP elements that aims to change the way that doctors and patients interact. One of their prizes was a trip to the Mobile Monday developer summit, which will actually take place this upcoming Monday in Bucharest, Romania (December 10th). Coming in second was Carousel App, an app from a Macedonian team which splits the display of a screen in half and enables users to run multiple apps simultaneously. Hook App, which finished in 3rd and was the brainchild of a Montenegrin team, allows users to leave messages in public spaces and allow others to interact with them but only when they enter the physical space in which the message (text, photo, or video) is located. This is quite a futuristic concept and is geared toward breaking down the barrier between the virtual and real worlds. Winners in other categories included Baby app from Serbia that allows parents create a diary about their baby, while Macedonian startup x3m-games won the gaming nomination with its complete gaming portfolio. Among the more interesting prizes for this event was the opportunity to qualify for acceptance into the Bulgarian accelerator venture fund Elevenor Estonian Gamefounders, devoted to gaming. YES Foundation was founded in 2005 and provides training, workspace, and other services to prospective entrepreneurs (unlike startup accelerators, there does not seem to be any equity stipulation here), so it’s worth a look if you live in the area and wish to turn your idea into something tangible.